Police officers, firefighters, paramedics, and military members all see the innermost of our dark and fallen world. Jonathan Hickory gives us a veteran police officer's intimate perspective into the struggle that many of our heroes battle in their hearts. Drowning in the depths of depression and sadness, burning with anger, and chained down by alcoholism, Jonathan couldn't do any more. After the death of his father as a young boy, facing countless horrific death scenes in the line of duty, and the loss of his first son, Jonathan turned to the world for answers—finding only darkness. 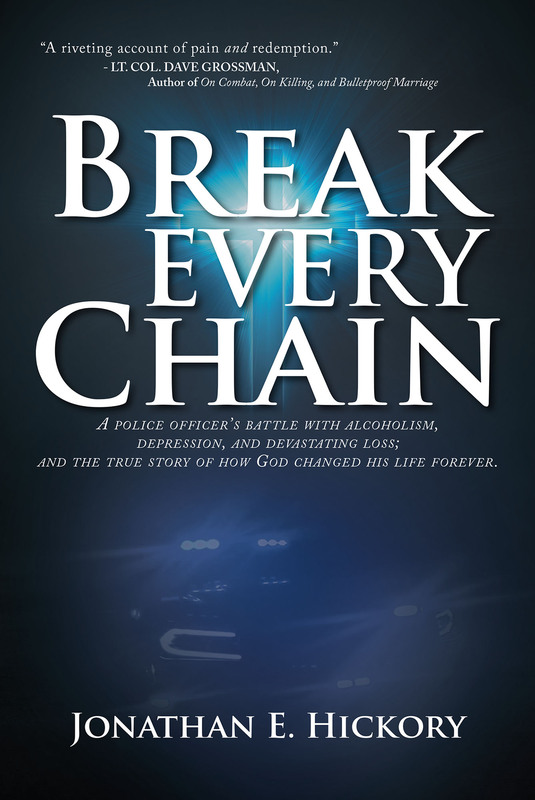 Facing the threat of losing his job as a police officer, the loss of his wife and daughter, and contemplating suicide, Jonathan turns to the only one who can truly save—Jesus. Read the powerful true story of how a step into faith saved Jonathan from the clutches of sin and addiction, changing his life forever. This amazing story of grace and the life-changing power of Jesus Christ is guaranteed to encourage everyone who reads it.